An explainer video is versatile! The Scribble Style sketching is the first thing to catch the eye in a whiteboard animation video. This almost minimalist artwork allows viewers to focus entirely on the content. The video develops image for image and captivates everyone watching. Cartoons like this are all about the story. The narrative appeals visually to the viewers’ emotions, ensuring your message is received crystal clear. Your customers understand your products or services, and find it easy to recollect what they have seen. Production costs are inexpensive compared with a live action video, and are billed precisely according to the length of the explainer video. Do you have any questions about explainer videos? What do explainer videos achieve? Quite often you will be asked to provide a short and concise explanation of what your service actually is. You will be most effective if your account creates a clear image in the mind of your opposite number in less than three minutes. This is where explainer videos step in and work for you. Let’s look at a production process or a change management process: your employees need to understand which steps they have to take and why. Produced early on, we use an explainer video to show everyone involved, several times if necessary, exactly what is happening. What is particularly good about your product? How can it be used effectively? And which benefits does it actually create? Quite often it will need more than a few hurried words to answer these questions. Using an explainer video can be helpful and appropriate here. Where are explainer videos used? 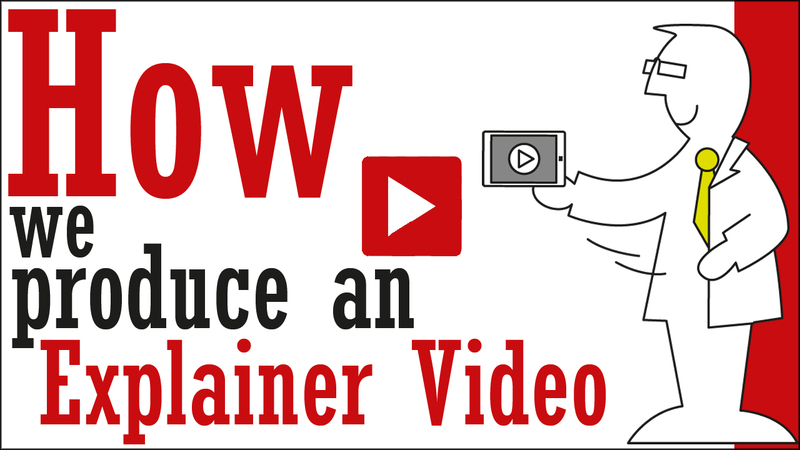 Explainer videos enrich your marketing mix. A Scribble Video arouses curiosity and communicates your argument to customers in a likeable form. Your other marketing activities benefit. Communicating company values is one of the biggest challenges. It combines dry information with emotion. Explainer videos provide an ideal blend here. We absorb and retain a greater amount of information if it appeals to a larger number of our senses. Well-made explainer videos can boost learning success by up to 70 percent. Content is becoming increasingly important. It gives search engines more to work with from a SEO perspective, which improves your ranking. Your readers will be just as happy to receive latest information in the form of a video. There is evidence that embedding a video in your web shop will generate more sales than simple text. Your sales reps will have an easier job and achieve higher revenues if they work with video to keep their customers informed. It is important to communicate your corporate image across all channels if you want to achieve easy recognition. Videos convey emotions, and can provide concise information in less than three minutes. We are happy to say that the joint development of our ‘three minutes’ really hit the mark thanks to the ideas and experience that the Scribble Video Team showed! Spread the word. Endorse us! We have fixed rates that we charge precisely based on the length of the explainer video. You are welcome to book convenient additional services such as express production. We have a variety of special voices alongside our standard narrators, which allows you to choose the ones you like best. How are explainer videos made? 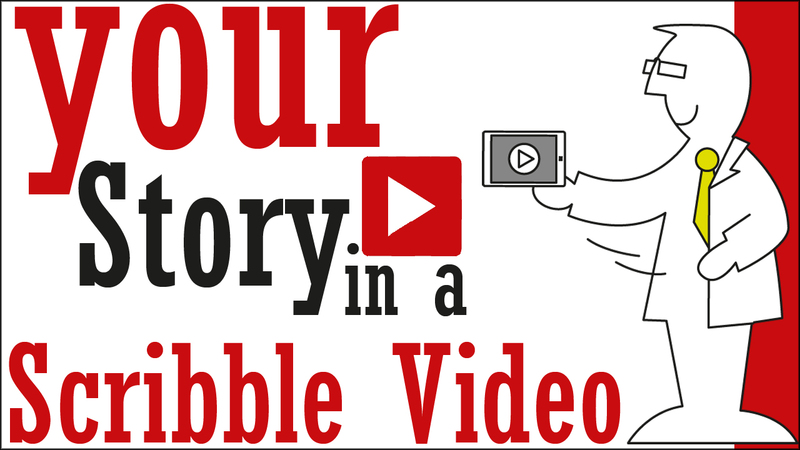 How do the professionals at Scribble Video make their explainer videos? This film shows you how a Scribble Video is made. Pitch us your idea, and we will write your story and scribble some suitable hand-sketched images. Then a professional will narrate the text, and the pictures will be complied to create an exciting animated video. A suitable soundtrack is added, and you receive the explainer video in full HD resolution and in the format you require. First of all you complete our briefing questionnaire. It clarifies for whom the explainer video will be made, its purpose and the words that the video must contain. The questionnaire also describes content that has to be shown. You are welcome to enclose with the questionnaire any documents and presentations you wish to add to the topic at hand. We use these data to produce scribbled artwork and a narrator text that tell your story. We bring both aspects together in a storyboard for your explainer video. Now you make any corrections. We give you the storyboard as an open document, which you use to make your corrections in the text and the images. We start producing your explainer video as soon as all the corrections have been added, and you are satisfied. We animate the scribbled scenes, and a professional narrator speaks the voice-over. Together they form the final video. We then deliver the explainer video in full HD resolution and the format you require. We are happy to help you post your whiteboard animation video on YouTube or any other platform. Just ask if you require assistance in setting up your own YouTube channel. Gardner Denver Medical is a leader in flow control products for medical, life sciences, and selected other industries. 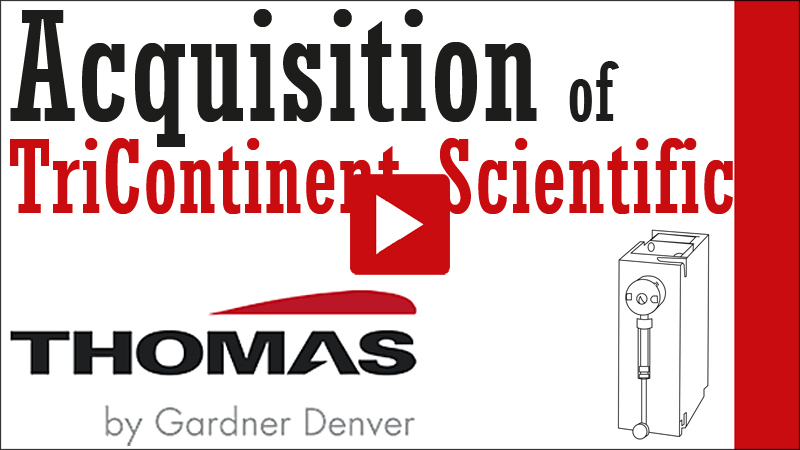 Now Gardner Denver Medical acquires TriContinent Scientific – a leading producer of precision syringe pumps and long-life valves with headquarters in California. These products can now be bought directly from Europe being supported by the European Gardner Denver Medical Organisation. This is what the customers need to know. A Scribble Video informs in a compact and congenial way. Companies are constantly under pressure to question existing structures and look into reorganising processes. This is where a professional transformation management is needed. 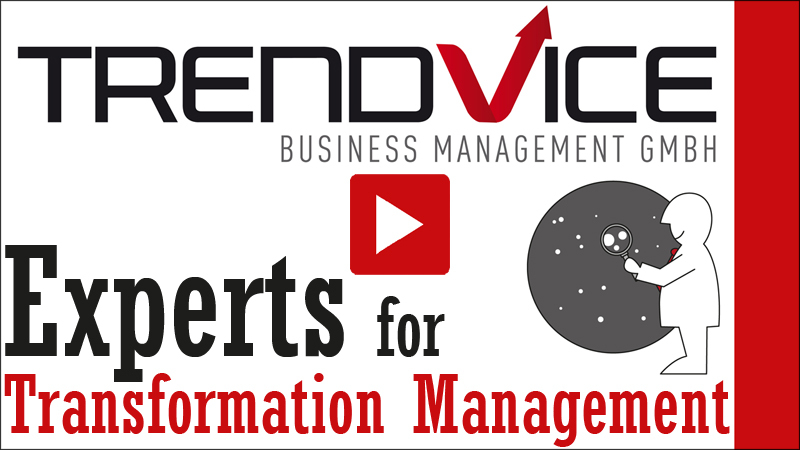 And this is exactly when Trendvice steps in – the experts in transformation management! Trendvice not only provides the customers with advice, it also supports the companies until all changes are consolidated into regulated operating structures. And exactly this is shown in a short humoristic Scribble Video. 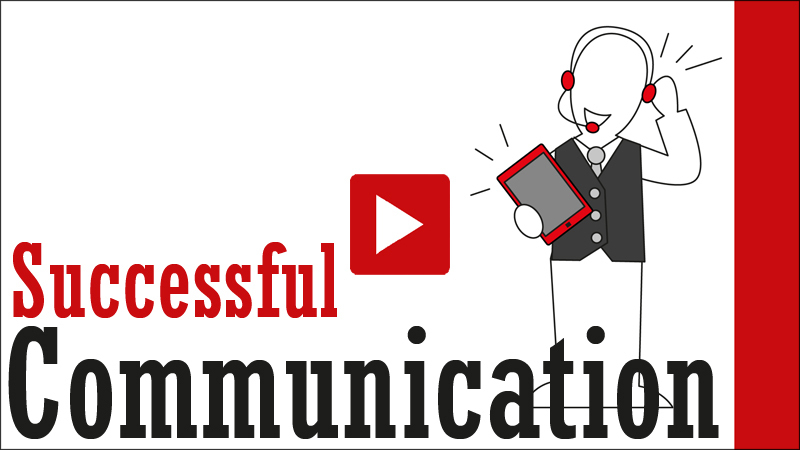 There are different ways to receive a message and forward it – this Scribble Video shows how the communication can fail and how it can succeed. Without words. An explainer video in the inimitable Scribble Style is an easy and immediately comprehensible way to explain complex information in less than three minutes. Whether it is a product or a service, our artists will find a way to communicate the tangible customer benefit in a clear and memorable form. What are the benefits of commissioning production of a whiteboard animation video? Explainer videos are to the point. Customers don’t want to watch tedious, drawn-out product or image films. That’s why our explainer videos are exciting and designed specifically to captivate viewers from the very first scene. The content is shown in an emotional and entertaining form to ensure it remains memorable for longer than other video formats. What is the difference between a Scribble Video and other formats using stop motion technology? The artwork in an explainer videos is stripped down to the bare necessities. This makes viewers curious, and they are interested to see how the scenes gradually emerge on the screen. This keeps things exciting from the very first moment and ensures you hold your viewers’ interest. The story in a whiteboard animation video develops as artwork, and is spoken by professional narrators. The video emerges gradually in the eyes and ears the customer, who will remain fully focused, watching attentively as the scene builds up on the screen, no matter how dry the topic may be. We produce each of our whiteboard animation videos specifically for individual customers. This means that specific modifications such as corporate design can be integrated smoothly and at low cost to suit the needs in each case. Where and how can an explainer video be used? In principle, a Scribble Style explainer video can be used anywhere: on a company website, embedded in a customer presentation, at a tradeshow, at a point-of-sale or for viral dissemination across social media channels. What does an explainer video cost? We produce inexpensive explainer videos, and are careful to charge a fair fixedrate. Good value for money makes our whiteboard animation videos an attractive option for smaller companies, also. After all, they receive a professionally produced explainer video that sets them apart from their competition in the longer term.